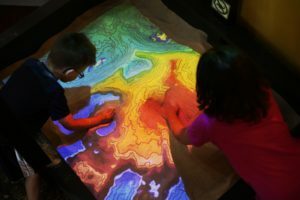 3-D real time Topographical Sandbox. Explore maps as you shape and change the projected landscape in real time. 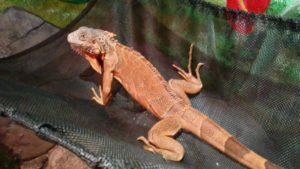 New Enclosure for our resident red Iguana "Reptar". 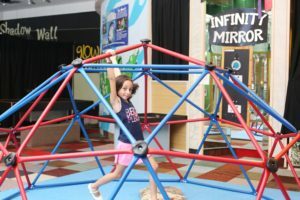 Bucky Dome Climber. 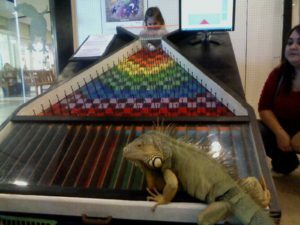 Climb on Bucky's famous Geodesic Dome. 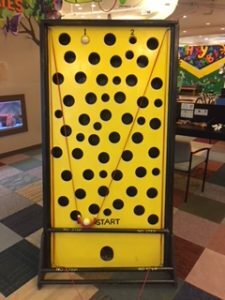 Probability Drop – A math and statistics exhibit, it’s just plain fun! 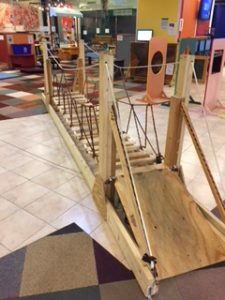 "Kinetic Jim" a 10 foot tall lariat chain kinetic sculpture. 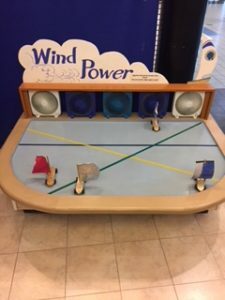 Wind power – Explore the power of air ! Set the sail to move the boat! 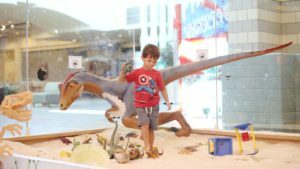 Excavation Station- Dig in to fun in our 100 sq ft. Paleontology dinosaur dig. 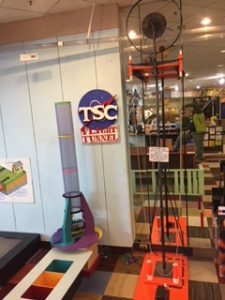 Vertical Ball Maze- Can you navigate the ball all the way to the top? Newly Upgraded Musical area! 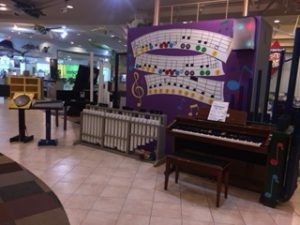 Now featuring two sets of rimba tubes, steel drum, pipe xylophone and an electric piano. 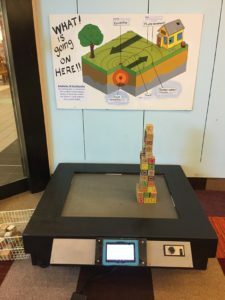 Earthquake Table- Build a tower and shake it down with our new earthquake table. 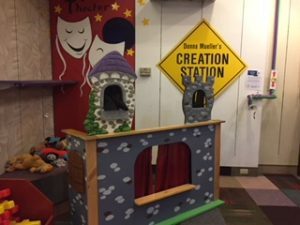 Improved Puppet Show- Rescue the princess or slay the dragon in our recently upgraded puppet theater.